So this question came to me last year, “Can you help me make a menu in Flash?” I have not worked with Flash for so many years I forgot how to properly answer this question. The adventurous female designer that asked me this question was clearly impressed with another’s Macromedia/Adobe Flash site. But admiring someone’s Flash site is like admiring the imperial grandeur of a sparkling city: when you never know about how many innocent people were killed to “fund” the project, you can get lost in admiration without really understanding the cost of implementation. Flash is, at its heart, an animation tool. This means that it was not originally designed to save labor as much as being a cel-by-cel digitizer for illustrators who are used to painstaking. So my answer to the question, “Can you help me make a menu in Flash?,” is (annoyingly) another question: Do you know what a MovieClip is? The reason why I ask this question is because whatever menu you are going to build in Flash it is going to be in a MovieClip symbol. So you can’t even get started without understanding what this Flash symbol is. Hint: think of a MovieClip like a folder inside of a folder—a Flash animation inside of an animation. Menu structures are preferred in the container hosting Flash—not within Flash itself. 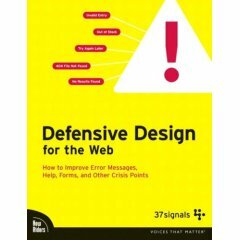 This is a design that I prefer because on the Web I like to use as much AJAX as possible—which subordinates Flash on the page (which is why Macromedia was not be motivated to feature my work back in the day when it mattered). A serious interaction designer would take the concept of the “menu” to a new level. From my experience, a site like johncoltrane.com really did (through hard work) take the concept of the menu to a new level—back in the late 1990s. 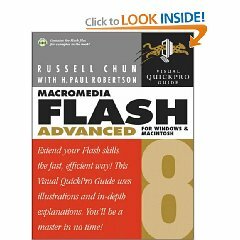 Eventually I found a book that reserved an entire section on “pull-down” menus (filed under “buttons symbols”), Macromedia Flash 8 Advanced for Windows and Macintosh: Visual QuickPro Guide by Russell Chun. This was one of the few times when buying a brand-new book about obsolete software in a bricks-and-mortar bookstore actually made sense to me. The Flash developers like my adventurous female designer are not going appreciate my code-centric work in Adobe Flex (which is yet another way not to get noticed). These adventurers demand the intense labor of working with timelines, sprinkling in just a little bit of code here and there. The next time I get a question like this, I’ll be ready (because, even with Flash CS4, these adventurers will still be using Flash-8-style techniques to avoid coding horrors). 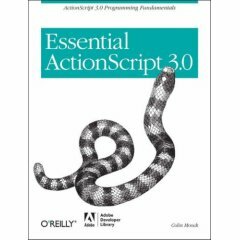 An honorable mention goes out to Todd Perkins, his book, Adobe Flash CS3 Professional Hands-On Training, mentions menus on page 311—so Lynda.com gets proper credit! The Gaia Framework for Adobe Flash runs inside of Adobe Flash. This may be “obvious” to some kid designer with a five-o’clock shadow but was not plain to me until I saw the download in MXP format. This is an interesting way for well-meaning and enterprising developers to treat Adobe like Google: a start-up can build a very popular open source product that Adobe now has the option to buy.